One thing I didn't expect in September was a carpet of wildflowers in the mountains. 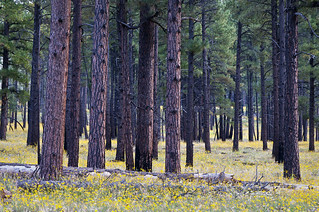 When we left Flagstaff for Sedona, we drove through the Coconino National Forest and this unbelievable display of wildflowers. You could pull off anywhere and have views like this.